Why Did This Dad Stop His Daughter's Wedding? 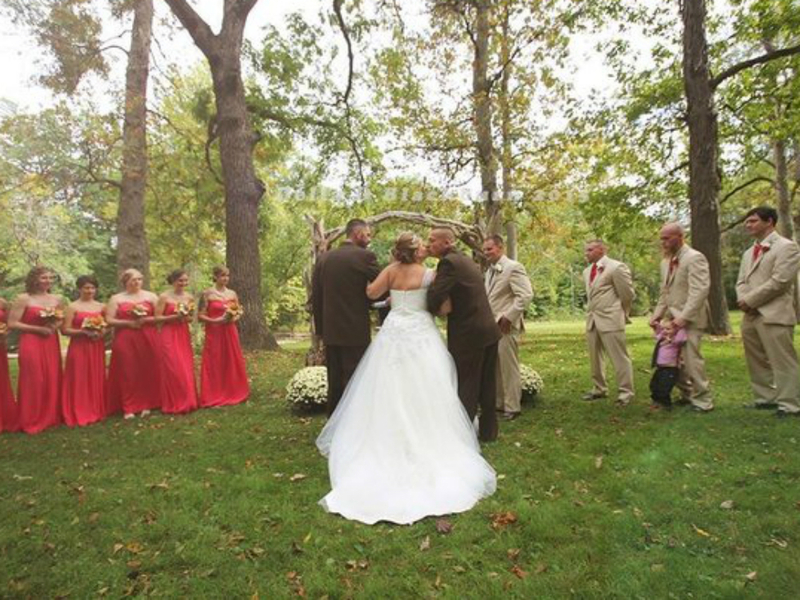 Why Did This Dad Stop His Daughter’s Wedding? 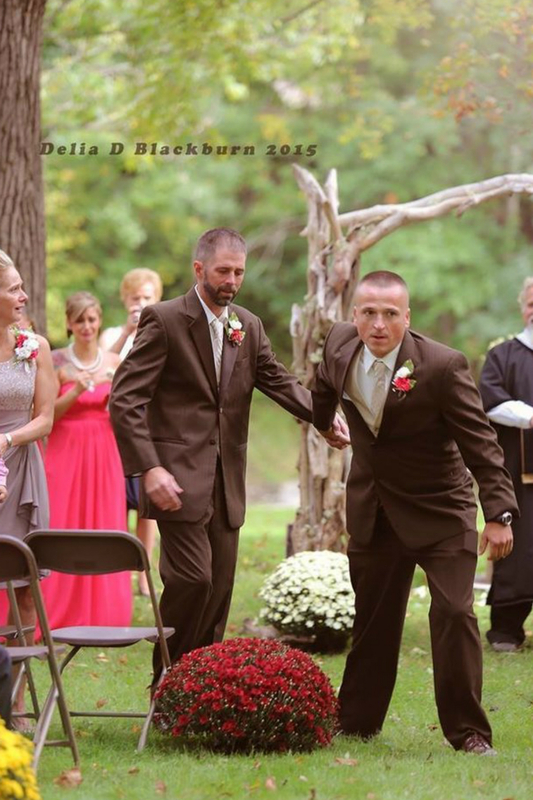 When Brittany Bachman prepared to walk down the aisle in Ohio recently, she was nervous. She took her biological father, Todd Bachman aside, and explained that she was worried about hurting her stepfather, Todd Cendrosky, by not giving him a role in the wedding. But Bachman and Cendrosky didn’t really get along – they’d had problems in the past, and still weren’t close. Which is what makes Bachman’s behaviour during the wedding ceremony all the more amazing. The music started, the groom was stood in place, and dad-and-daughter were ready to make their entrance. But before things could kick off, Bachman waved at everybody to stop, while he ran down to the front and grabbed Cendrosky by the arm – and pulled him back down the aisle towards Brittany. 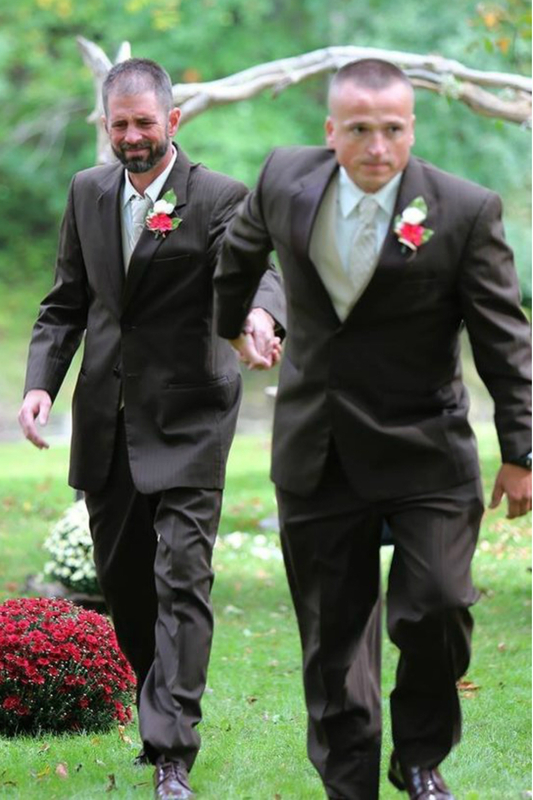 Then together they walked her down the aisle, while both Cendrosky and Brittany choked back tears. The moment was captured by wedding photographer Delia D Blackburn, who posted the pictures on Facebook following the event – and has watched them receive over a million likes. Excuse us while we sob into our keyboards for a moment.